It’s is that time of the year again for people in the tropics. It’s characterized with dry,dusty,windy and desert-like weather with low humidity and little or no rainfall. It spans from November to March. Dry Skin:The skin is dry with accompanying cracking of the lips and sole of the feet. The skin can be kept healthy by regular application of oily creams,lotions and moisturizers and weather friendly dressing. This is perhaps the best time to explore the cultural advantage of wearing flowing attire,jacket and coats. The Eyes: The dust particles carried by the wind can enter the eye and cause itching,redness may be common especially in individuals with allergic eye disease. Proper eye hygiene in form of washing with clean water, reduced exposure to dust and protective spectacles and shades are advised to be worn. Food Poisoning: Because of the dusty atmosphere, there is need to keep healthy food preservation culture especially food hawkers such as fruits, vegetables etc to prevent food borne diseases. Fruits and vegetables should be properly washed before eating. Our drinking water containers should also be properly covered and stored food should be properly covered to prevent contamination. Dehydration(Loss Of Bodily Fluids): Lots of fluid should be taken to compensate for loss of water from the body into the atmosphere through respiration perspiration and urinating. Cold: is a viral infection of the upper respiratory tract that affects the nose. Coughing, sore throat, runny nose, sneezing and fever are signs of the disease. And you know the weather can be cold during Harmattan, so it is very important to wear appropriate clothing to keep you warm and the cold out. And taking Vitamin C raw or in fruits and vegetables helps to help boost your immunity and protect you from these infection. And for those of you who might have already caught it, just take looks of fruits with Vitamin C and inhaling steam from a bowl of hot (but not boiling) water also helps. Asthma: This is a period of Frequent Asthma attacks due to the dusty and dry weather.Asthmatic patients should wear appropriate clothing, do not expose yourself to dust or cold and always be with their inhaler at all times. The cold weather can be particularly harsh on our ski. It makes us to look dull, tired and even older. While it might leave us feeling warmer, it can also dry out the skin. Unless our skin is properly hydrated, it can’t repair itself. Eating hot soup is the best answer to the cold weather. It does not only warm you up, but fills your stomach. Coffee,cocoa and tea are also good at warming you up. And take warm showers not too hot,not too cold. By doing all these,you’ll be sure to stay healthy and enjoy this harmattan period. 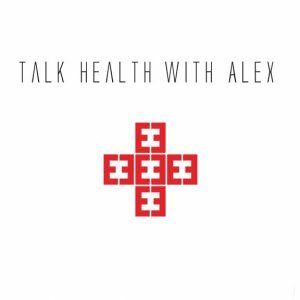 And for inquiries or ideas, send me a mail @talkhealthwithalex@gmail.com. Previous Post What Is Water And What Are The Benefits?